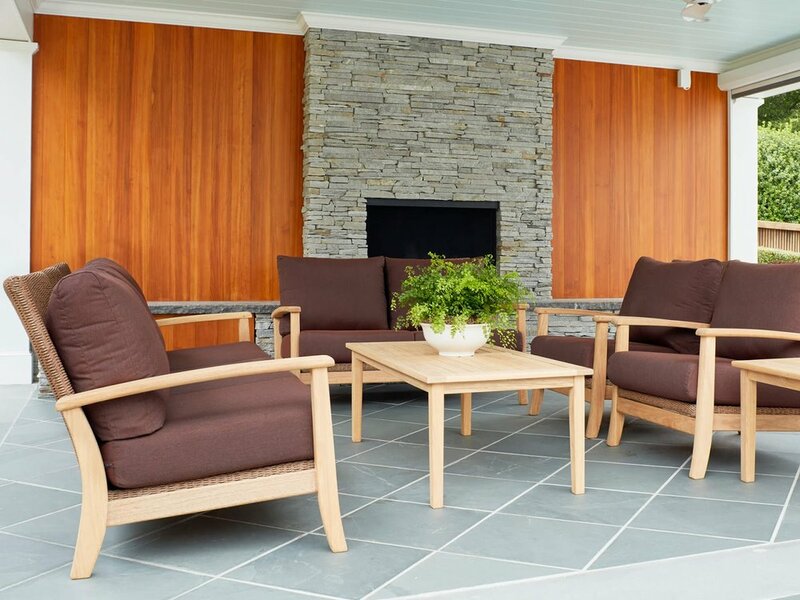 In the Patio World showroom, we have a large selection of patio furniture styles. Each style is made of different materials to fit a specific taste or application. Some materials are (or no) maintenance and feature UV inhibitors to protect from the sun. Look over some of these styles and materials to find the outdoor furniture style which suits your lifestyle. Teak is a very durable wood containing natural oils that protect against termites and other pests. While teak requires some maintenance, care products are available to make that process easier. Ipe (pronounced ee-pay) is a tropical hardwood that is meant to last. Ipe is very dense and excellent for outdoor use. This high-quality wood is durable, as well as insect and decay resistant. Roble is a dense, strong, but lightweight hardwood. The medium textured wood has a golden cast. It is often referred to as “South American Teak”. Aluminum is a great choice for outdoor furniture. Lightweight and low-maintenance, aluminum frames are powder-coated for extra durability. Our wrought iron and steel furniture feature full-circumference welds that will not deteriorate compared to most big-box store furniture. Made of natural fiber or vinyl, the wicker of today offers a variety of color and design options. Our wicker furniture collections are woven over an aluminum frame creating more durable and long-lasting furniture. Resin and Marine Grade Polymer (MGP) are synthetic materials which are environmentally conscious and extremely durable. Table tops, fire pits, and furniture made of these materials allow for innovative designs which stand the test of time. We carry OW Lee tables featuring porcelain table tops which are strong, durable, and come in many styles from a traditional tile to a reclaimed wood looks and more. We also carry patio furniture that combines multiple materials like this swivel chair which features an aluminum frame, MGP arm caps, and vinyl wicker panels.